And the award for silliest front panel design goes to…. 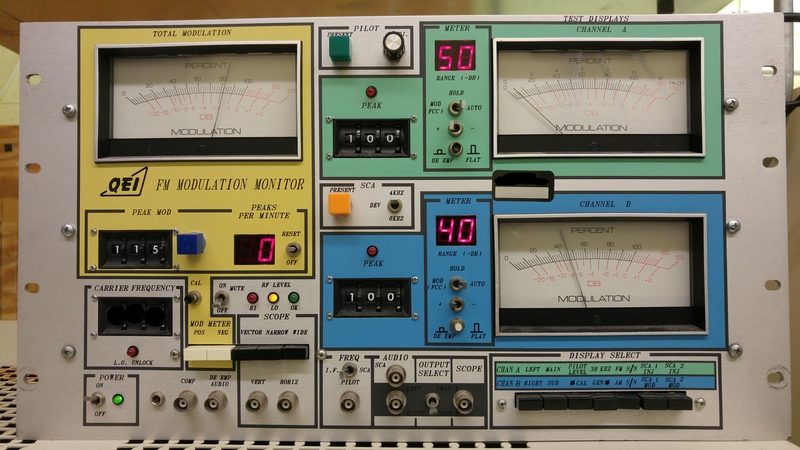 The QEI Model 691 FM modulation monitor! It always makes me think of Pokey The Penguin comics. Please feel free to use this photograph to torture graphic designers. Sorry about the stray marks, I’ve been asked to respect the secret identity of my client. You’re not cleared for that. Fnord!